Les Carroz has the fastest transfer time of any major ski resort in the entire Alps! In good conditions, you can get between Geneva airport and Les Carroz in less than an hour. With quick access to the Grand Massif’s 265 kms of piste, Les Carroz is perfect spot for a mini ski break or a week’s family holiday. Go Massif is the number one airport transfer provider for Les Carroz and also the only company with drivers based in resort. Every accommodation address in Les Carroz is held in the company database, meaning your transfer driver will get you to the door of your accommodation with minimum fuss. The Go Massif shared service runs very regularly between Geneva airport and Les Carroz in the winter and offers exceptional value for money. A private transfer service is also available to get you from Geneva to Les Carroz straight away. 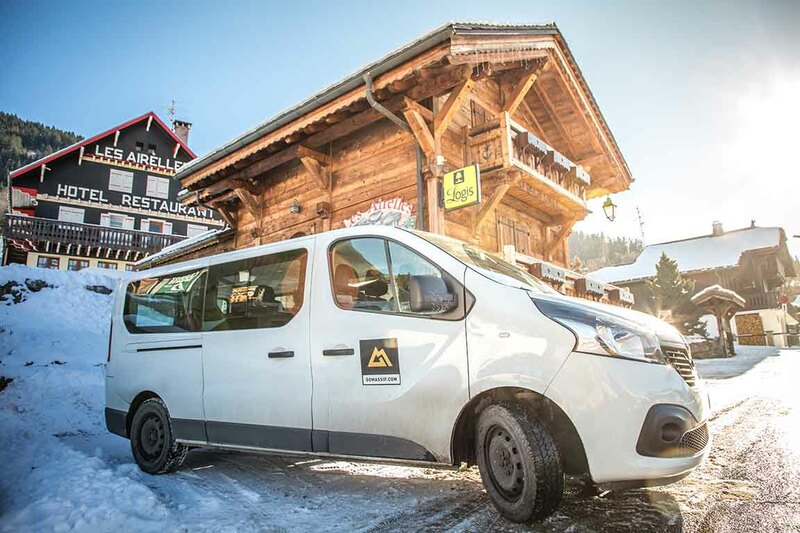 During the winter months, Go Massif operate a regular shared mini bus transfer service for passengers travelling between Geneva airport and Les Carroz. On Saturdays the maximum passenger grouping time for a vehicle is only 60 minutes. From Sunday to Friday the maximum wait time is 90 mins. However, as Les Carroz is a popular destination, waiting times are often much less. All shared transfers are to and from the door of your accommodation. The Go Massif private taxi transfer service is available from the airport any other address in Geneva. You will be taken directly to the door of your accommodation in Les Carroz in your own dedicated vehicle. Your driver will pick you up at a time you specify or to suit the timings of your flight.